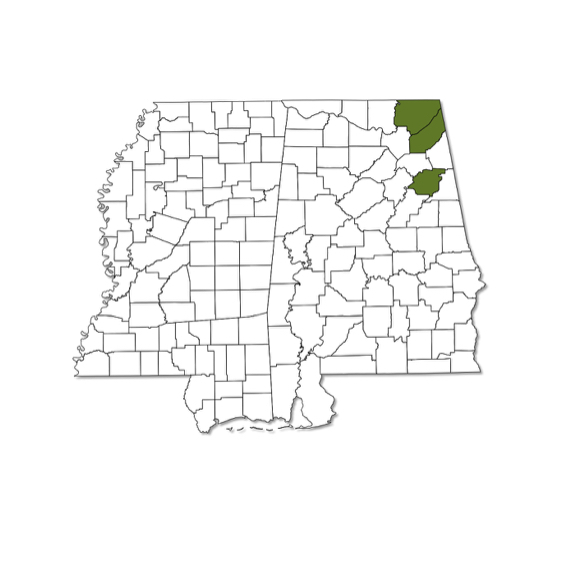 Known only from three counties in Alabama and likely restricted to the northeastern corner of the state. Flies in the spring. Upper surface white with only faint gray dusting. Lower surface also white with faint gray along wing viens.